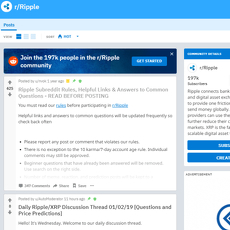 r/Cryptocurrency which is also called the cryptocurrency section on Reddit isn’t like every news site that talks about different kinds of cryptocurrencies and end with that. 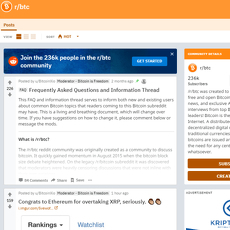 It is more like the official source for all cryptocurrency news and discussions. It is also involved with crypto analysis which makes it 3 in 1 package. 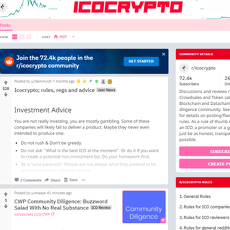 Unlike crypto sites that are selective on the type of cryptocurrency they talk about, r/Cryptocurrency talks about all i.e. whether popular or not, valuable or not, existing or non-existing. 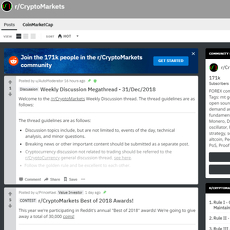 To start enjoying daily updates on cryptocurrencies on Reddit, all you have to do is subscribe. 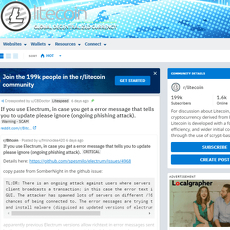 The site shows the number of people that already subscribed to the platform and the number of active participants online. There are 2 different aspects of the site which is important; Posts and Rooms. 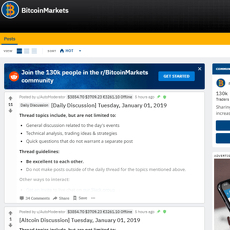 For the Rooms, you have the opportunity to join a room for a discussion on cryptocurrency while for the Posts, you get updates by the hour about cryptocurrencies and several discussions about them. 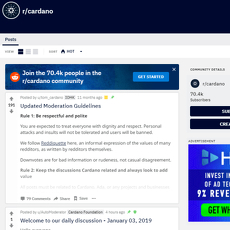 There are different segments under the Posts, they include; Official, Support, Comedy, Finance, Scalability, General News, Media, Exchange, Educational, Release, New Coin, Development and Adoption. 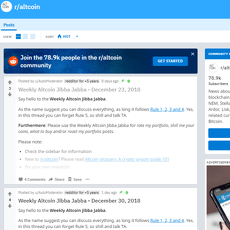 For every segment in the Posts aspect, there are original contents with credits to whoever posted them on Reddit. 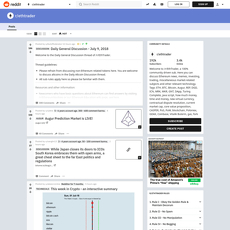 The platform welcomes comments from subscribers and allow them to Vote and share to friends through different platforms. 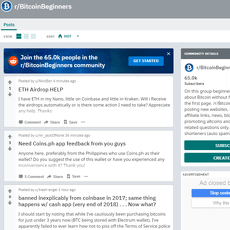 r/Cryptocurrency even displays videos, especially under the comedy segment of the Posts. 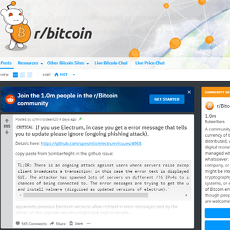 Original source of information on Cryptocurrencies. Videos, media and other interesting segments are available. 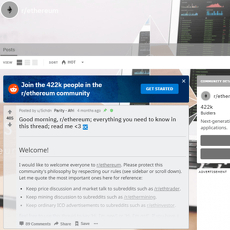 Allows you share to a social community.